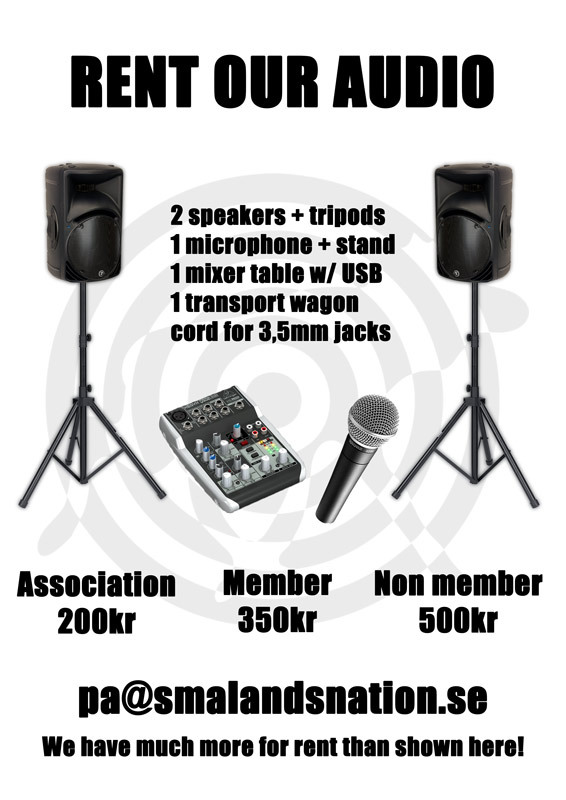 Did you know that you can rent an audio system with us? We have enough stuff in store for any local band to feel satisfied with their gig. If you need a technician that sets everything up and manages the audio, we have one of those as well. If you rent our technician he is also able to provide karaoke if needed. Send us an e-mail at pa@smalandsnation.se and we’ll take it from there.